Choosing a large format bottle? Size matters! As a young man, I made beverage buying decisions on two factors: price and size. So, it was not uncommon for me to select the cheapest and largest volume container that I could find to assist me in pondering the existential verities, and such critical human questions as: will the Mountaineers defeat Pitt this weekend; and will Mary Lou accompany me to the Toga Party after the game? Yes, volume and price were an important part of my earlier years, but as I ascend to Old Codgerdom, the terms have taken on a whole different meaning where pain is the price I pay for excessive volume consumption. But I digress. I got to ruminating about the “good” old days, and those seemingly bottomless jugs of Uncle Frankie’s Purple Passion, as I began to write this column on the various sizes of and monikers for large bottles of wine. It’s actually pretty fascinating – at least to me. Of course, the standard size bottle of wine is 750 milliliters (ml) or what we Americans call a “fifth” which is 25.360 fluid ounces. All larger wine bottles are therefore designed to accommodate multiples of the 750 ml bottle. 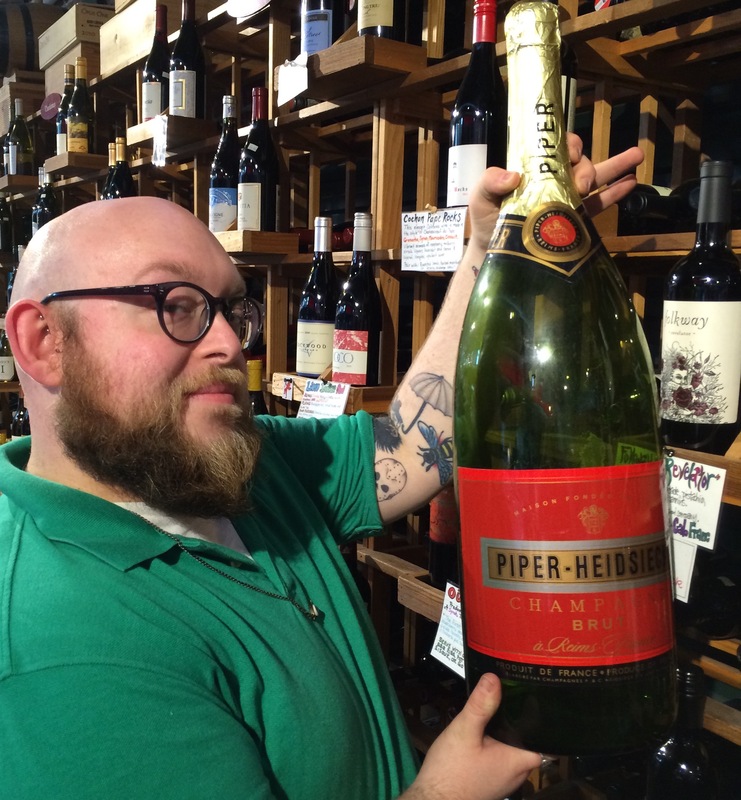 But that’s just size, and we all know that size is the least important component of what comprises a pleasant (drinking) experience. For most meals, a 750 ml bottle is perfect for two diners and can sometimes suffice for as many as four. So a table of eight or more folks requires more wine, and most people simply buy a second bottle. The beauty of a larger format bottle is that it not only will serve more guests, it is also one you can keep in your cellar longer. The reason is that wine ages slower in larger bottles, allowing you to uncork that older red wine you’ve been holding for just the right occasion- like a holiday or birthday. I’m sure most of you have purchased a magnum (which is a 1.5 liter bottle and the equivalent of two fifths) when you were hosting six to eight folks for dinner. But that bottle is a runt compared to several larger format bottles which range in size from three to – are you ready for this- 30 liters! And these larger bottles have all been given the names of Biblical figures, many of whom were kings or wisemen. Melchizedek (30 liters) – King of Jerusalem. To put this in some sort of visual perspective, a Melchizedek is the equivalent of 40 fifths of wine -all in one bottle! It’s as tall as an adult human being, but I don’t think there are any earthly creatures able to lift and pour from that size bottle. But wouldn’t popping the cork on a Melchizedek be a hoot? So the next time you’re planning a Toga Party for a few hundred of your closest friends, go out and hire a couple of Sumo wrestlers to pour your favorite Melchizedek, and party like it’s 500 B.C.